While we are looking forward to an eventful new year we couldn’t resist taking a look back. 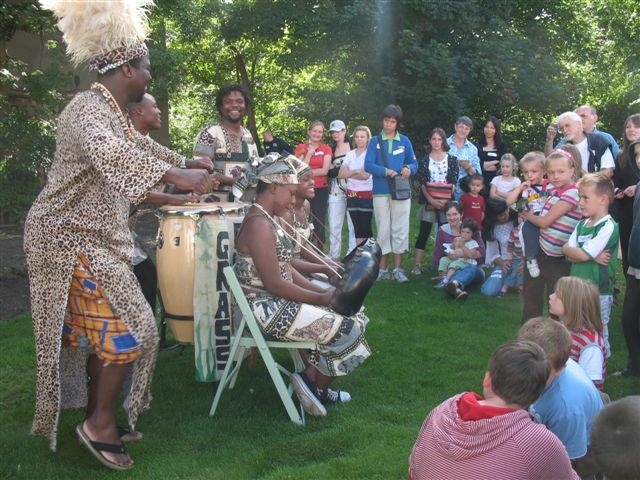 During 2008 we travelled far and wide, visiting parts of Africa, China, India, Pakistan and Poland. All without moving out of Leith and North Edinburgh. To celebrate the most vibrant and exciting part of the capital city here is our world tour in pictures, with thanks to the many welcoming communities of Leith. Psst: back to the future. Making no apology for revisiting this old post. Celebrating Leith’s multicultural wealth seems even more important in 2018/19 as it did ten years ago. Breaking bread and making new friends with Swietlica in Craighall Centre, Ferry Road. Our first story of the year reported on an unforgettable Christmas celebration, Polish style. 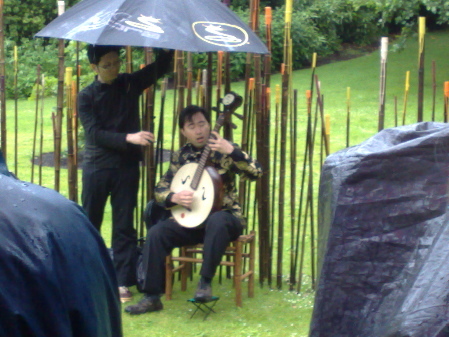 Kimho Ip (holding the umbrella) brought Chinese music, dance and song to the Royal Botanic Garden Edinburgh but we had to make do with the worst of Scottish weather on midsummer night. For all that, Dialogues of Wind and Bamboo was a magical experience. We had a lot of fun reporting on the fantastic development of Redbraes Community Garden and got to some good parties in the process! Here’s Grassroots at the summer open day in August. 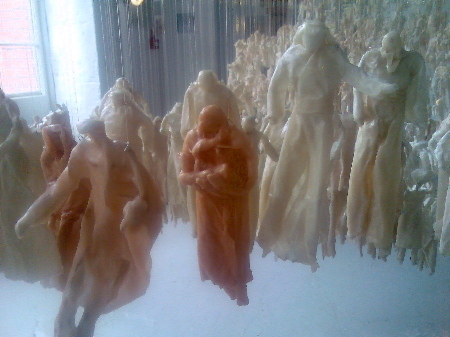 Behind the scenes, members of Leith Open Space joined volunteers helping to assembling 3,000 figures in the festival exhibition Return of the Soul symbolising the exodus of 750,000 Palestinian men, women and children displaced by the creation of Israel 60 years ago. Scottish Asian poets brought a unique flavour of the Indo-Pak subcontinent to McDonald Road Library. Over 130 people enjoyed readings of poetry in Gujarati, English, Punjabi and Urdu. 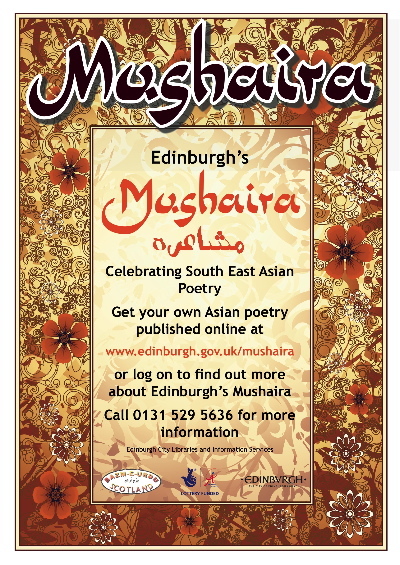 This was Edinburgh’s 17th Mushaira but the tradition goes back hundreds of years. 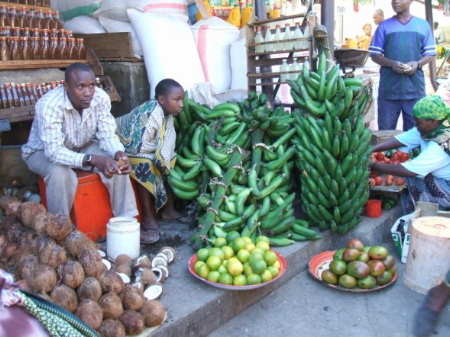 Ok, we didn’t really get to a market in Tanzania but the next best thing was to be invited to the launch of the Tanzania Edinburgh Community Association (TzECA) marking the 47th Independence Anniversary of Tanzania. 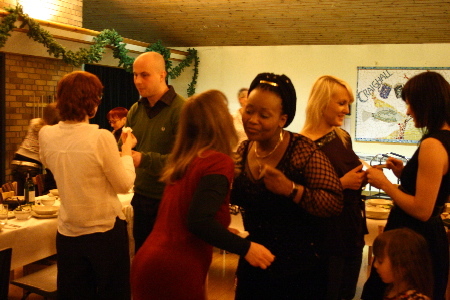 African food, music and hospitality overcame a cold December night. Thanks to Yvonne Baginsky(of Shirati Hospital Energy Project) for the picture. 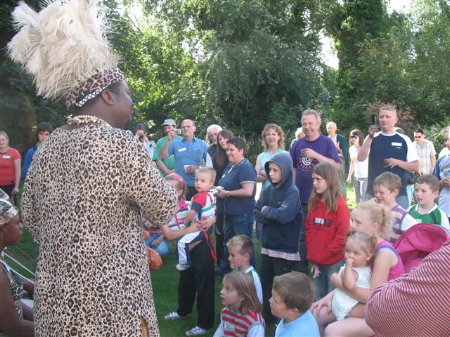 And Alice Musamba for great food at the event in Newhaven. Back to Edinburgh, ending the year with a series of traditional Polish gatherings. And (by the way) another wonderful Christmas Eve meal. 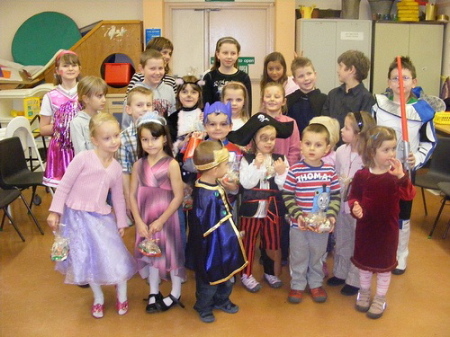 Here children dress up for Andrzejki, at the Swietlica celebration of St Andrews night in Fort Community Centre. Oops, sorry – since we posted this story we upgraded WordPress so some of the layout is a bit squished. Don’t have time to put it right just now, but hope you get the point anyway.